Rabat – King Mohammed VI has said that he is the “Guarantor of the free practice of religion” in a speech given to celebrate Pope Francis’ first visit to Morocco on Saturday. Peace, tolerance, and coexistence between the three Abrahamic religions were the focus of the King’s speech delivered at the Hassan mosque plaza in front of hundreds of attendees. 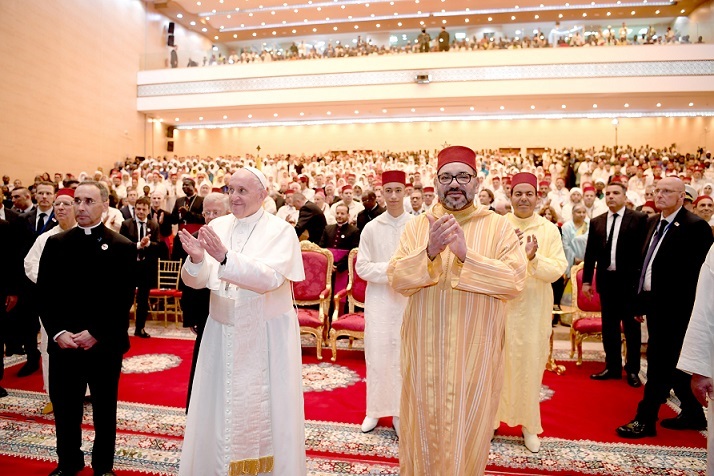 The speech is part of the celebration for Pope Francis’ first visit in history to Morocco. In his address, the King emphasized the freedom to practice all religions in his country. 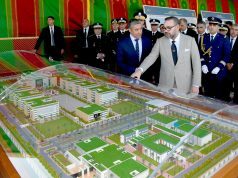 “I protect Moroccan Jews as well as Christians from other countries, who are living in Morocco,” said the King in his speech. The monarch, who delivered his speech in four languages, said that he is the Commander of all believers. “And, as Commander of the Faithful, I cannot speak of the Land of Islam, as if only Muslims lived there. I am keen to ensure freedom to practice the religions of the Book and I am the guarantor of that freedom,” added the monarch. 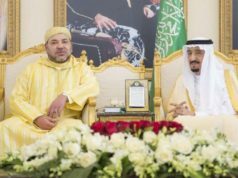 The King conveyed Morocco’s penchant for coexistence, which honors the tradition of mutual understanding and moderation between all religions. 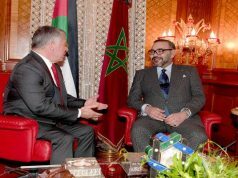 The monarch also stressed that Morocco’s principles and tolerance are against all forms of indifference. “I am against all forms of indifference and I wish, in this respect, to salute the courage of the leaders who do not shy away from the defining questions of our time,” said the monarch. US International Religious Freedom report in 2017 said the number of Christians living in the major-Muslim country is ranging between 2,000 to 6,000 Christians. Other NGOs estimate that the number might be higher. The French arm of the Dutch Open Doors NGO said that the number of Christians living in Morocco is 32,000. 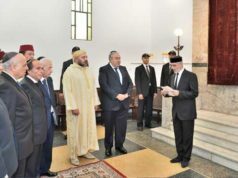 In addition to Christians, 2,000 Jews live in Morocco, estimated the Jewish Agency in 2018. 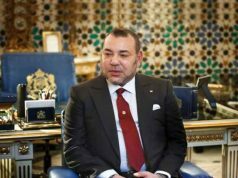 In a message addressed to the UN General Assembly in September 2018, King Mohammed VI emphasized that Morocco is a land of all religions, emphasizing the presence of multiculturalism and peaceful relations between people of different faiths in the North African country.